Ariana Grande's collaboration with Tony-award winning composer, Jason Robert Brown, is appropriately titled "Jason's Song (Gave It Away)" and has been a breakout sheet music hit. It's been in our top 5 sellers for several weeks! Jason wrote a blog post detailing how the collaboration came about, and you can read an excerpt below. "Ariana called me in December and told me that since I was going to be in LA for a couple of weeks, she wanted to get together for a writing session. (I’ll pause to point out how weird it is when the kid you cast as a 14-year-old is calling you as a peer, but you only need to spend about two minutes in Ari’s company to recognize what an amazing musician and what a total pro she is.) I may or may not have protested about my total ignorance of current pop music and gone into detail with all the nonsense I just wrote in the first paragraph, but Ari shushed me and said it would mean so much if I would just come over and try to do something, and I love Ari and I thought that the worst thing that could happen is that I’d listen to her sing for a couple of hours and hang out with her dogs, both of which seemed like exceedingly pleasant ways to pass the time, so off I went. Ari said she wanted to have a song like her favorite song from my Wearing Someone Else’s Clothes CD, “Getting Out” (which she performed spectacularly at my LA concert in January): something really tough about the music business and how hard it was to be a woman trying to maintain her own voice, trying to push her boundaries, trying to stand up against the astonishing wall of corporate resistance she faced on a regular basis, not to mention the crazy demands and frustrations of celebrity culture. She wanted it to sound “totally JRB” and so she walked me over to the out-of-tune piano in the living room and said “Just do JRB things!” Whereupon she climbed on top of the piano and started singing along while I played. She had a melodic idea for the chorus, I filled it out; I had a melodic idea for the verse, she stretched it and made it swing. I told her she should write the lyrics, since I didn’t feel like I could put words in her mouth. Then, as though some unheard bell rang somewhere in the palace, she disappeared and I gathered up my stuff and headed off." 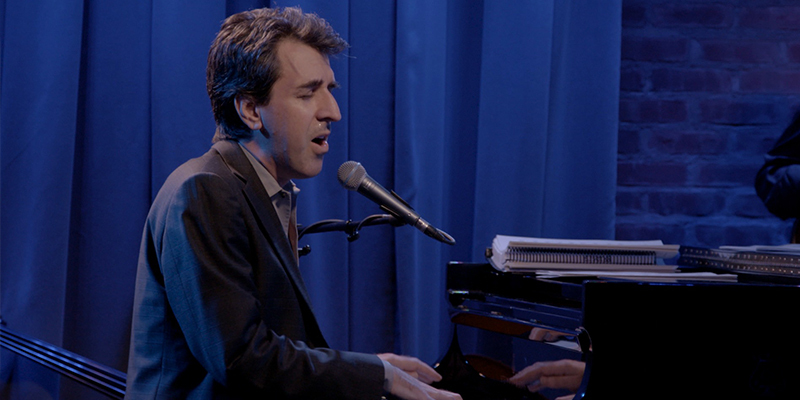 Jason Robert Brown is a Tony-award winning American musical theatre composer, lyricist, and playwright. You can find much of his sheet music available for download HERE.